Transport your senses to the quaint, palm tree-lined cobblestone streets of Charleston with the Travel Tin Candle from Archipelago Botanicals’ Excursion Collection. 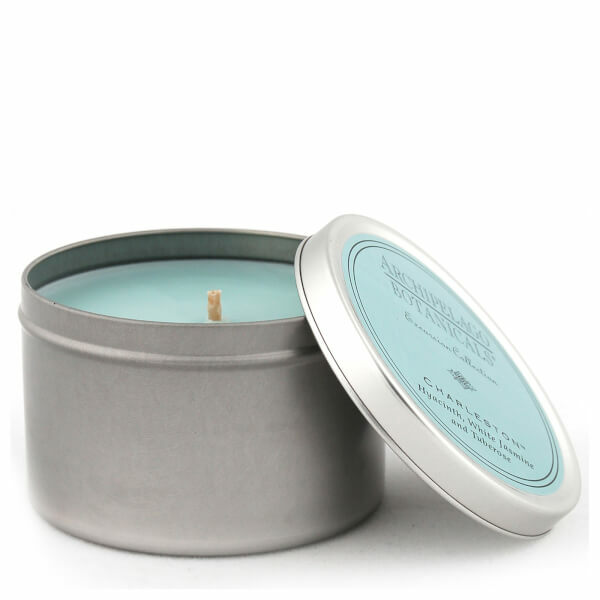 Hand-poured and encased in a silver, travel-friendly tin topped with a labelled lid, the scented candle is the perfect pick-me-up to unwind and destress after a long day, unleashing a calming blend of aromas from a complex melange of essential oils and natural or fine fragrances. Floral accords of Jasmine in bloom with Tuberose and Hyacinth, with subtle dashes of fresh Cotton and Peach Nectar make up the sumptuous aromas encapsulated within the fragrant candle.